The Food Modernization Act (FSMA) has been a continued and focused project for the FDA throughout 2011. The FDA is actively working on shaping and implementing the Act, and has been asking the food industry for input. Developments in numerous aspects of the Act continue to occur. Two topics within the FSMA that have been garnering some industry attention lately are user fees and tracing capabilities. The continued implementation of FSMA and the reality of financial implications of the Act come at a time of economic struggle for many, including a shortage of funding for the FDA. As Dr. David Acheson cites in his “Nine Month Food Safety Modernization Act Implementation Update”, “FDA will be looking to build on existing best practices and leverage programs where possible.” This means that those involved in the food industry have a capability for being influences and valued voices in this new age of food safety. Also, the FDA announced this September the launch of two pilot programs involving product tracing. The pilots are intended “to explore and demonstrate methods for rapid and effective tracking and tracing of food, including types of data that are useful for tracing, ways to connect the various points in the supply chain and how quickly data can be made available to FDA.” Much like the user fees discussed above, the FDA is interested in garnering insight from the industry. You can check out opportunities to volunteer for the pilot project at the FDA site. Nelson-Jameson will continue to update you on the Food Modernization Act as news develops. We’ll also share with you sources and reports that can help your operation navigate any issues that may come up. Subscribe to updates from FDA with their free e-mail service. Voice your comments to the FDA via e-mail at FSMA@fda.hhs.gov. Originally from the Japanese car industry, the 5S method is now commonplace in production facilities globally. It provides a streamlined work environment that can lower costs, increase efficiency, and produce better product and a more motivated staff. 5S lays the groundwork for a visual workplace – for improving quality, organization, efficiency, housekeeping AND safety in your organization. Sort – go thru each area and eliminate all tools and supplies not used in that process. Set in Order – arrange the work area for maximum efficiency, everything in its place. Shine – a systematic approach to cleaning and scheduled maintenance of all equipment. Standardizing – everything looks the same and is simplified. Sustaining – keeping up what has been accomplished. One of the most interesting stories from the lab department occurred about 12 months ago and continues to unfold. We received a call from the father of Chad Campbell, a very inquisitive, 12 year-old who loved science. His son’s school had a science fair and Chad wanted to, of course, win first place. Chad did some investigating on the web regarding test kits for antibiotic detection in meat; our Premi®Test kit for meat came up in his search. His father called us and talked with Fritz, our technical director, who explained exactly how to run the Premi®Test and the necessary items to run the test properly. Jenni, our product administrator, got the quote together and much to our surprise they ordered the incubator and kit. For his project he chose 20 different grocery stores within a 60 mile radius to run 20 different meat samples. Of the 20 samples of meat tested three came back positive for antibiotic residue. 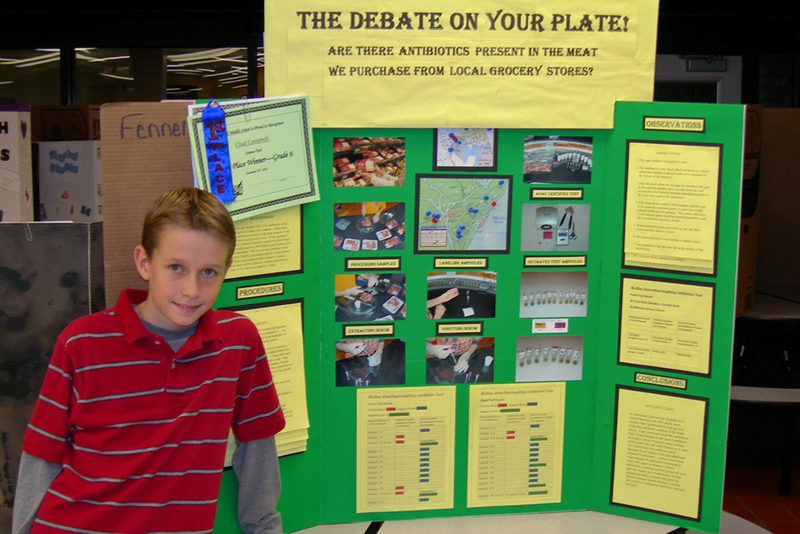 His project was entitled “The Debate on Your Plate! Are there Antibiotics Present in the Meat We Purchase from Local Grocery Stores?” Chad found a lot of controversy regarding overuse and misuse of antibiotics being the main cause of antibiotic resistance. Some organizations accuse, while other organizations deny farms of giving their healthy food animals antibiotics as a preventative and to promote growth. Some dairy farms often treat animals inappropriately without identifying pathogens or whether they are even present, then ship before testing to see if the residue has cleared the tissues. An interesting, but unsettling fact he found is – 70% of all antibiotics in the U.S. are given to healthy food animals. We are proud to announce Chad won first place at his school, top 30 in the U.S. He presented his findings in Washington D.C. and won third place. Congratulations Chad! Salt (sodium chloride) has its own familiar taste and is classified as one of the five basic tastes (sweet, salt, sour, bitter and umami). Salt enhances flavors, particularly in savory foods such as chocolate and suppresses bitterness. Reduction or removal may make foods bland and unappetizing. Salt also plays a major role in food safety. 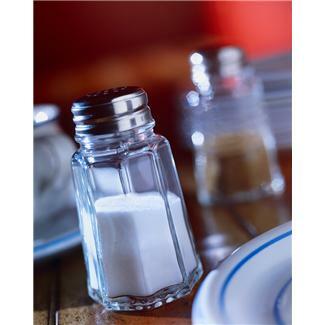 Although great strides have been made by the Food Processing Industry to reduce salt, futher reductions are sure to follow to meet targets of healthy salt consumption levels. A gradual reduction of salt (stealth approach) is applauded by organizations such as the UK Food Standards Agency and World Action on Salt and Health. The rate is uncertain and may vary significantly, however many companies have successfully used a stepwise reduction rate of 5% without compromising food safety and consumer perception. Food manufacturers can be confident the Nelson-Jameson M926 Chloride Analyzer continues to be an effective means to monitor salt levels in food products, and can be a valuable asset in the salt reduction effort. Contact us to discuss the suitability of the M926 Chloride Analyzer for use with your salt reduction and replacement strategies.